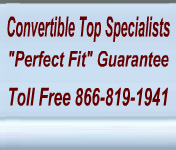 GMC truck upholstery replacements for your truck will give your vehicle interior a new and fresh update. Each of our GMC truck upholstery sets is manufactured to original pattern specifications and we offer a choice of fabric colors. Our GMC truck upholstery will instantly renew your vehicle to show room condition. Please enjoy shopping our site and if you have questions please do not hesitate to contact our customer service at 866-819-1941. Copyright @ 2007-2016 EZ Softtops.com. All rights reserved. EZ Softtops does not offer products from and is not affiliated or associated with E-Z On Auto Tops, Inc.
EZ Softtops does not accept liability for typographical or product specification errors (including pricing). Prices are subject to change without notice.